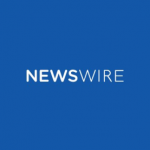 Newswire is a press release distribution service that enables users to share their stories, increase their visibility, and reach their target audience across traditional and social media channels. It features an expansive distribution network and access to online tools for media monitoring, influencer marketing, analytics, and more. In this article, we cover user reviews and pricing. Ready to try Newswire? Sign up for a free account. Users who gave Newswire a positive review said that its interface is easy to use. They also like its cost-effective pricing plans and analytic tools, as well as their support team’s excellent customer service. Users who gave Newswire a negative review commented that its interface needs a few enhancements to refine its aesthetics and make it more intuitive. Several others proposed a few improvements to its features, such as enhanced targeting and search capabilities, as well as a better digital compatibility with iPad and iPhones. One user who left a negative review of Newswire on G2 Crowd stated that the interface can still be further improved to make it more organized. He also suggested the addition of symbols and graphics to its layout to enhance user experience. Newswire offers two paid subscription options, each with several plans: Single Distribution (ranges from $119 to $1,199 one-time fee) and Monthly Subscription (ranges from $199 to $839/month). They also offer a Custom Plan where users can customize their subscription depending on the number of Premium and Premium Plus press releases they need each month. Interested users may request for more information by contacting Newswire’s sales team. Ready to try out Newswire? Sign up for a free account. Best Press Release Distribution Services for 2018 — Press release services distribute your news releases to journalists and reporters, increasing their exposure and the likelihood that they’ll be published. In this guide, we reviewed eReleases, PR Web, and PR Newswire. Read on for our comparison of the best press release distribution services in terms of online exposure, media distribution, and pricing. How can users submit their press releases to Newswire? After creating a Newswire account, choosing a subscription package, and logging into the system, users need to accomplish an online form through the “Submit Press Release” option on their dashboard. Once the form is completed with the details of the press release and its expected publication date, users can submit it to Newswire for editorial review and distribution. What is Newswire’s distribution network? Newswire’s distribution network covers both online and traditional media channels. They also partnered with PR Newswire to provide their clients an expanded audience reach and enhanced visibility. Additionally, they also offer a Media Outreach service to help users target relevant industry publications and connect with key influencers. What’s the difference between Premium and Premium Plus press releases? Premium includes 50 contacts for targeted email campaigns and a distribution network of 250 online news sites. Premium Plus, on the other hand, includes 100 contacts for targeted email campaigns and distribution to PR Newswire, including a network of thousands of online news sites. Not sure if Newswire is the right fit for you? Read our reviews of all top press release services or check out one of these three Newswire competitors.